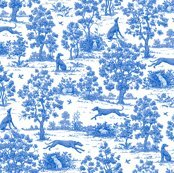 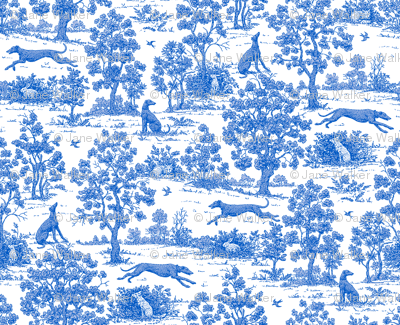 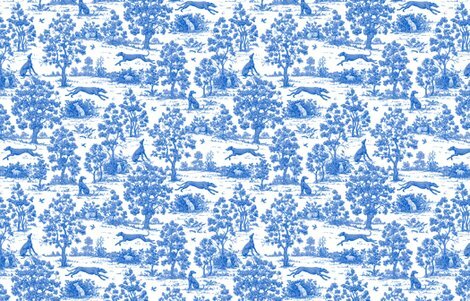 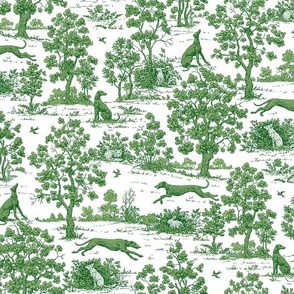 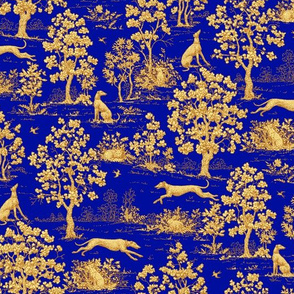 Blue Toile de Jouy design featuring greyhounds. 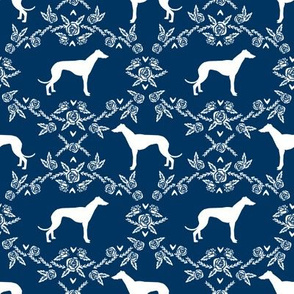 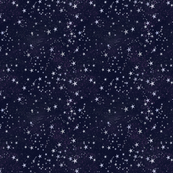 Available in many colors on fabric, gift wrap, and, wallpaper. 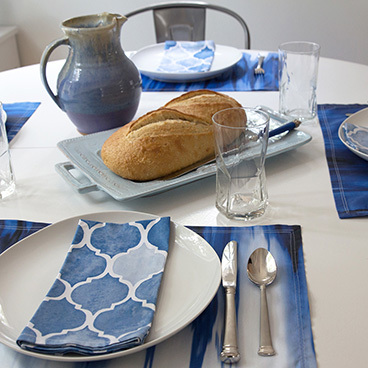 See links below for more. 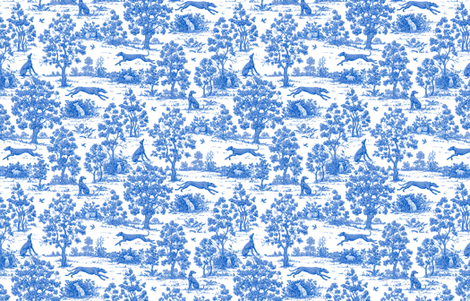 Greyhounds, rabbits, foxes, and swallows in a traditional tinted Toile de Jouy. 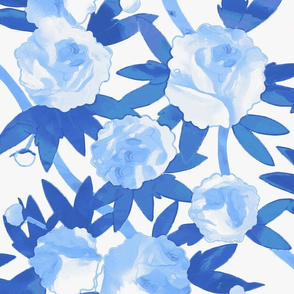 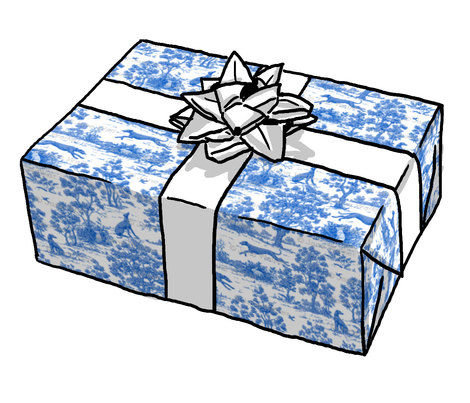 This design features line drawing with lighter tinting on a white background.